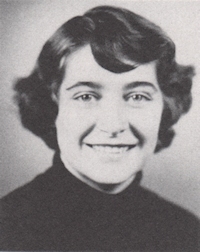 Obituary – Platt, Darlene Janice (Pricer) « Perry High School Alumni Association, Inc.
﻿Red Hots 52-55, Red Hots Vice-President 54-55. Darlene J. Platt, 70, of Perry, Oklahoma, was the daughter of Wilbur Oliver and Stella Omega LeFurgey Pricer. She was born on September 22, 1937 in Perry, Oklahoma and died Saturday, January 12, 2008 at Perry Memorial Hospital. She was a 1955 graduate of Perry High School. On June 7, 1958, Darlene married William Bill Platt in Enid, Oklahoma. Funeral services will be 2:00 p.m. Wednesday, January 16, 2008 at the Brown-Dugger Funeral Home Chapel. Rev. Dane Lemmons will officiate. Interment will be in Grace Hill Cemetery. Services are under the direction of Brown-Dugger Funeral Home. Memorials may be made to the American Cancer Society or the American Diabetes Association in care of Brown-Dugger Funeral Home, 1010 N. 7th Street, Perry, Oklahoma 73077. 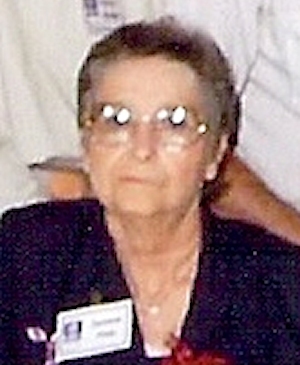 Darlene is survived by her husband, Bill Platt; one daughter, Kim Kienholz and her husband, Glen, of Orlando, Oklahoma; three grandchildren, Ronnie Beier and his wife, Megan, of Mulhall, Oklahoma, Jeffrey Kienholz and Shane Kienholz, both of Orlando, Oklahoma; one great-grandchild, Ryan Beier of Mulhall, Oklahoma; one brother, Kenneth Pricer of Kansas City, Missouri and two sisters, Ellen Wilkerson of Sherman, Texas and Jo Bronn of Claremore, Oklahoma. She was preceded in death by one son, Steven Douglas Platt, one daughter, Vicki Platt and her parents, Wilbur and Stella Pricer.